The new SEA LIFE Charlotte-Concord Aquarium, located at Concord Mills, features 150,000 gallons of water in 26,000 Square Feet of Indoor Space. There is fun for everyone at SEA LIFE Aquarium. Adults and children can observe over 5,000 creatures, including Sharks, Seahorses, Octopus, Jellyfish and Rays. In the underwater walk-through Tunnel, you get a 180 degree view of Fish swimming right over your head! The Aquarium also features an Interactive Touchpool Experience, where you can touch a Urchin, Starfish or a Crab. While visiting the Aquarium, you can watch Feed Shows and Educator Talks scheduled throughout the day. There is also a way to test your creature knowledge, by taking part in the free Kids Quiz Trail. For the little ones there is a soft play area at the end of the journey. 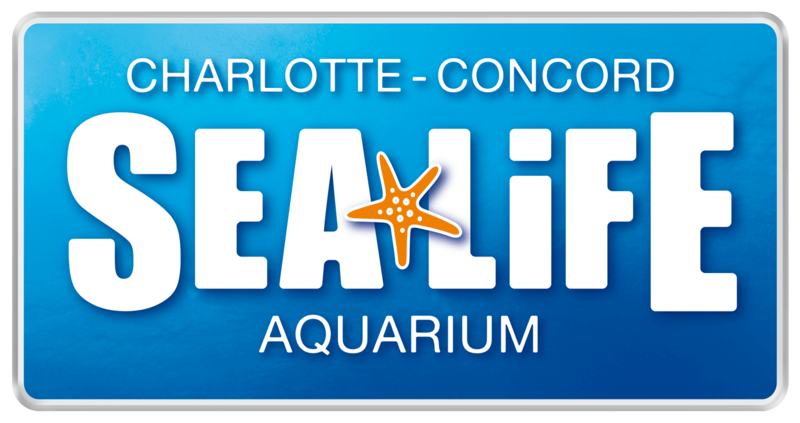 We are so happy to announce that, from April 1-April 30we will be accepting entries into a giveaway of a family 4 pack, to the new SEA LIFE Charlotte-Concord Aquarium. To enter into the giveaway, you have to put your entry in through the Rafflecopter widget below. There are also many ways to get extra entries. You will receive one extra entry for each of the following: liking us on Facebook at www.facebook.com/charlottesbestnannyagency, liking SEA LIFE Aquarium on Facebook at www.facebook.com/sealifecharlotteconcord, Following us on Twitter @cltbestnanny, Following SEA LIFE on Twitter @SEALIFECC, or following us on Pinterest at: www.pinterest.com/charlottebestn. The winner will be drawn at random through Rafflecopter.com on April 31, 2014. The winner of this giveaway will receive a family 4-pack of tickets to the new SEA LIFE Aquarium at Concord Mills. This is an awesome chance for you and your family to spend a day together, exploring the brand new SEA LIFE Aquarium.